The Texas Law Advocacy Program recently competed in three different advocacy competitions, successfully taking on teams from around the nation and bringing multiple awards back to the law school. 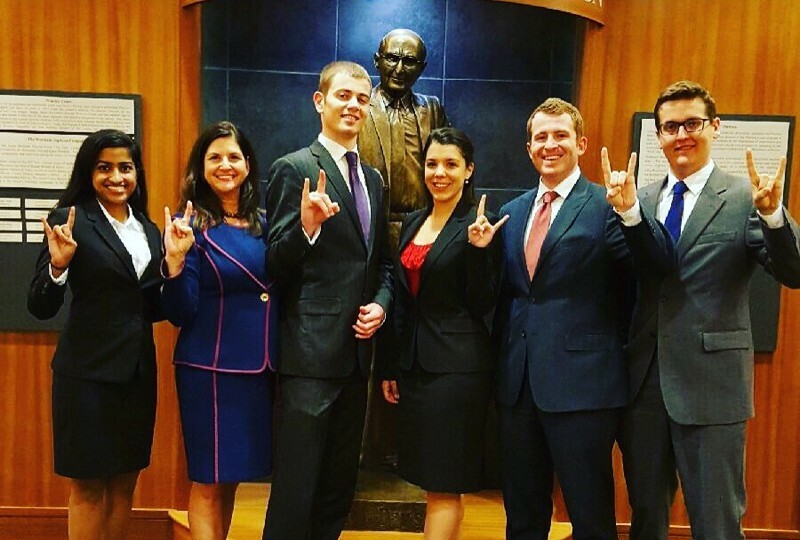 “The se victories exemplify the talent and dedication of our students, who spend countless hours perfecting their skills, our wonderful coaches who take away from their busy practices, and our alums who help support all of these efforts,” said Tracy McCormack, director of the Texas Law Advocacy Program. 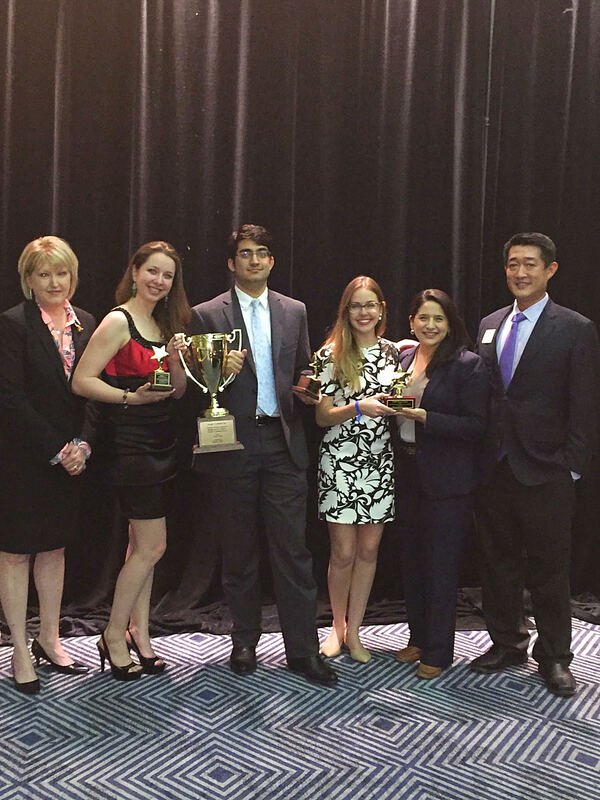 The Elliott Cup, sponsored by the State Bar of Texas, is the regional warm-up competition for Fifth Circuit law schools participating in the Duberstein National Bankruptcy Moot Court Competition. The team of Daniel Hatoum, 3L, and Hannah Roblyer, 2L, placed first, and the team of Lisa Newman and Sophia Makris, both 2Ls, placed third. Hatoum and Roblyer also received individual awards, earning honors as first and second best speakers, respectively. The Elliott cup was hosted at Texas Law in February. 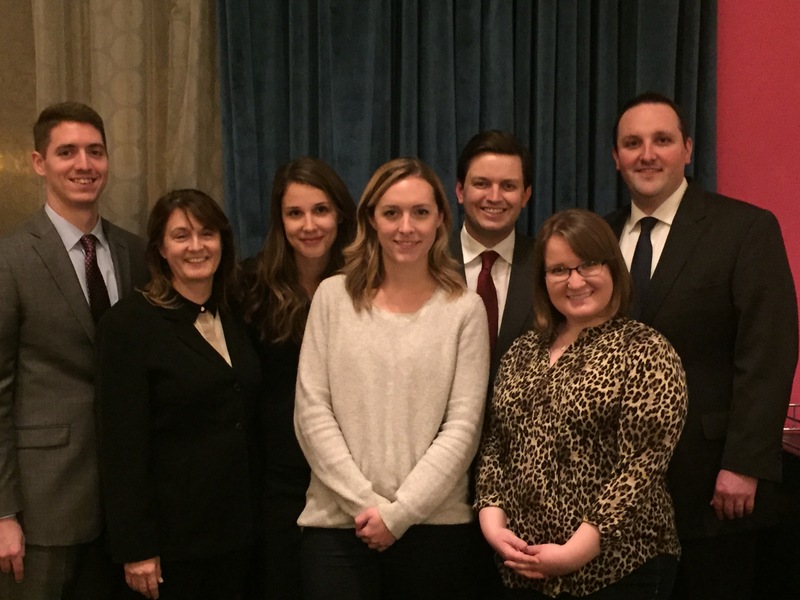 Concurrently, two Texas Law teams competed in the ABA-Sponsored National Appellate Advocacy Competition in Philadelphia. The team of Anya Bidwell, Meaghan Nowell, 3Ls, and Katy Cox, 2L, was honored with a Top Brief award. The other team, which included Marta Chlistunoff, Henson Adams and Will Langley, all 3Ls, placed first out of the 32 teams competing. Chlistunoff and Langley were also honored with Top Advocate awards. The team will now advance to the National Finals, to be held in Chicago in April. The teams are coached by Gretchen Sween, ’03, and Karson Thompson, ’12, both Texas Law alumni who competed in the National Appellate Advocacy Competition as law students. “When the students are as committed, talented, and intellectually rigorous as members of this year’s team are, we all benefit—collectively pushing each other toward a more nuanced understanding of complex legal issues and what it means to communicate effectively about those issues to an uninitiated audience,” said Sween, who has been coaching interscholastic moot court teams at the law school for the past eight years. Finally, a Texas Law team of 3Ls Mark Balfe and Daniella Martinez, coached by alumna Jodi Lazar ’88, won at the Texas Young Lawyers Association (TYLA) Regional Competition held at Baylor, beating South Texas. Balfe and Martinez now advance to the National Trial Competition finals, to be held in Dallas in late March. Beck, one of the nation’s most successful trial attorneys, is a member of the Texas Law class of ’65, the namesake of the law school’s legal research and writing program, and a current member of the UT Board of Regents.